PRICED LOWERED BY $7000!! Beautifully upgraded 3 bedroom townhome in gated community. Homey front porch entrance. Property includes greatly sought after 2 CAR GARAGE. 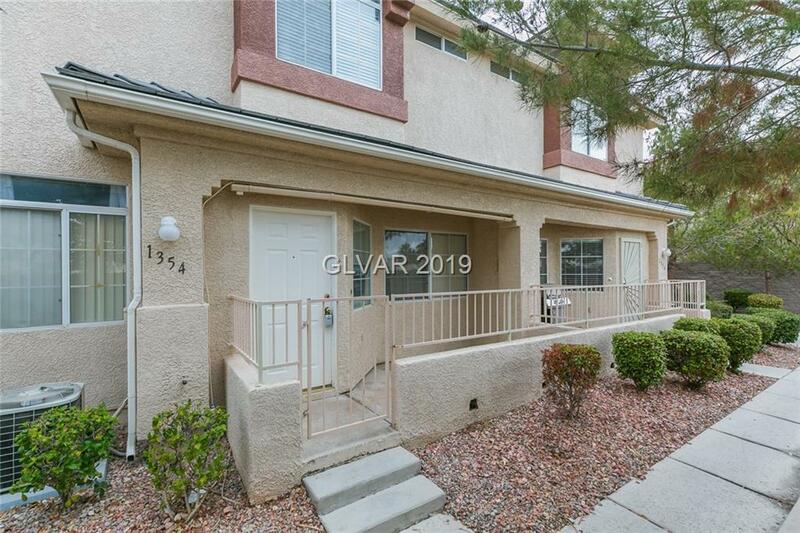 This pristine home Features: New Stainless Steel appliances, new laminate flooring and fresh paint for a clean, open feel, A/C AND WATER HEATER 1 YR NEW!! , Lg master with spacious W/I closet. Great location just outside Summerlin near parks, restaurants, and shopping. Must see. Directions: Head West On Summerlin Parkway, Exit North On Buffalo, West On Washington, North On Durango, Turn East Into First Gate.